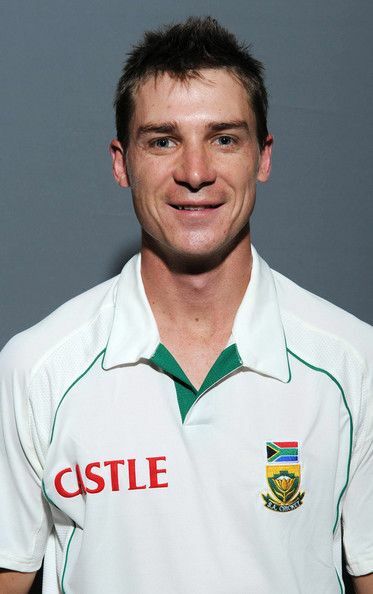 Dale Willem Steyn (; born 27 June 1983) is a South African cricketer who plays in Tests, T20 Internationals and One Day International cricket for South Africa. Dale plays domestic cricket in South Africa for Cape Cobras. He is a right-arm fast bowler, and bowls at speeds of around 145–150 km/h (his fastest being recorded at 156.2 km/h during the 2010 IPL, Bangalore Royal Challengers against Kolkata Knight Riders). His fastest ball in international cricket was clocked at 155.7 km/h (96.8 mph) against New Zealand, making him tied for 4th fastest active bowler with Lasith Malinga as of 3 January 2015. Dale held the record for the fastest South African to reach 100 wickets in Test Match cricket, a feat he achieved on 2 March 2008. Dale currently has the best bowling strike rate of all time in Test match cricket (amongst bowlers who have bowled a minimum of 10,000 deliveries). 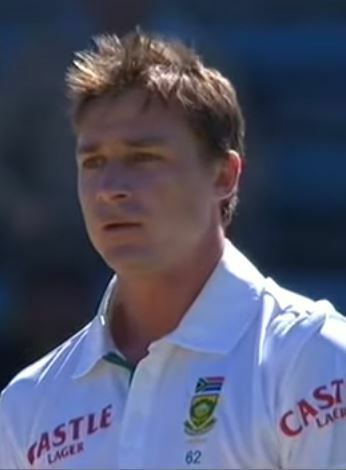 Dale Steyn achieved a tally of 78 wickets at an average of 16.24 in Season 2007/08 and was subsequently rewarded with the prestigious ICC 2008 Test Cricketer of the Year Award. He was named one of the Wisden cricketers of the year in 2013. He was named Wisden Leading Cricketer in the World for the year 2013 in 2014 Wisden Cricketers Almanack. He dominated the number one spot in the ICC test rankings for several years between 2008 and 2014. He is currently the number one ranked Test bowler in the world, achieving the 900+ points benchmark on 13 November 2011 following his important early work with pace bowling expert, Ian Pont. In October 2012, alongside Philander and Morne Morkel, Steyn was part of a South African pace attack bowling coach and former test cricketer Allan Donald called the best the country had ever produced. Dale played a cameo as himself in the 2014 Hollywood film . Steyn made his first-class debut for Northerns (subsequently merged with Easterns to form the Titans) on 17 October 2003. He only played two first-class games and made little impact in his first season, but a series of strong performances in the initial part of the 2004/2005 season saw him called up to the Test squad to play England. He went back to playing for the Titans after failing to impress in his first three Tests. 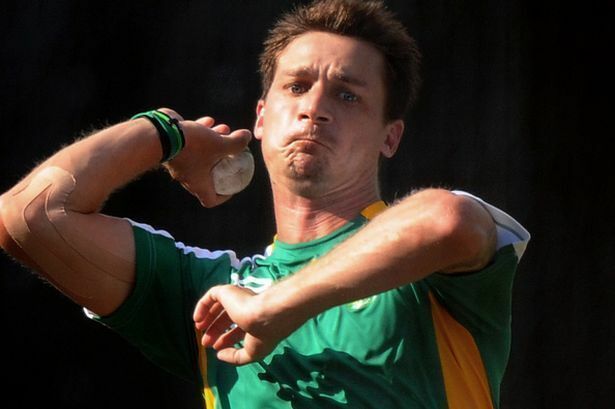 Steyn is an aggressive out-and-out fast bowler capable of bowling at speeds in excess of 150 km/h. He is capable of generating considerable swing and is usually chosen to bowl with the new ball to maximize these attributes. He was a generally aggressive bowler and had capability to even get the ball to do a lot more than it should do. He bowls at at mid 140 -150 but likes to bowl at mid 130 at general conditions He has also demonstrated the ability to reverse swing the older ball in a Test match against India in Nagpur in 2010, which South Africa won by an innings and six runs. Steyn is an extremely competitive cricketer and often celebrates vigorously after taking a wicket. He has stated that he "love(s) the buzz from bowling fast" and that he "want(s) to be the quickest in the world". Steyn is usually considered a tail-ender when batting and usually bats at number nine. However, he is a capable hitter of the ball and can also occupy the crease if required.